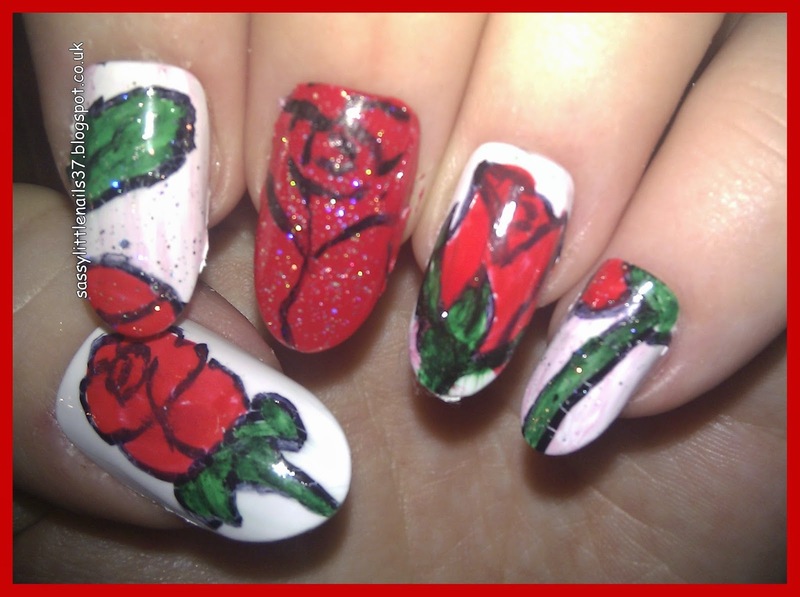 Sorry I have not posted this week I have been unwell again but I am now feeling much better and wanted to post this nailart I did. I thought I would do a bold rose flower outlined in black as I have seen this pattern on a cushion cover. Items used are pictured below. 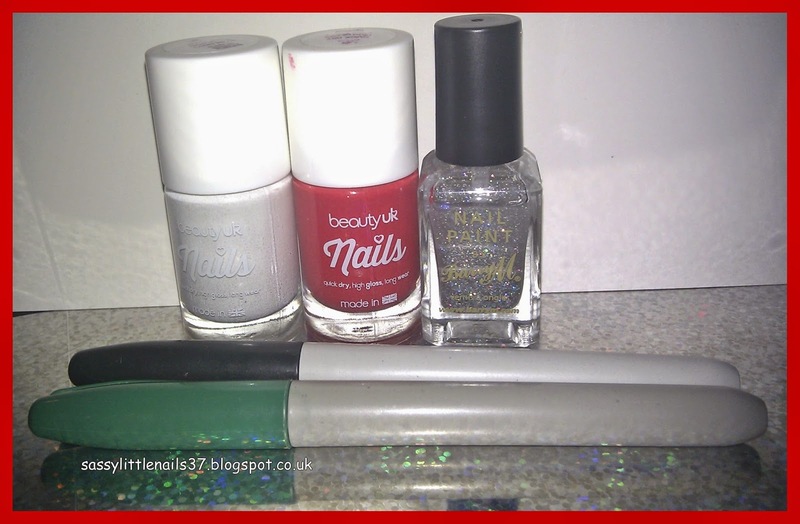 Beautyuk polishes in White out. and in Coral burst. Barry M paint polish in Diamond glitter. marker pens in black and green. 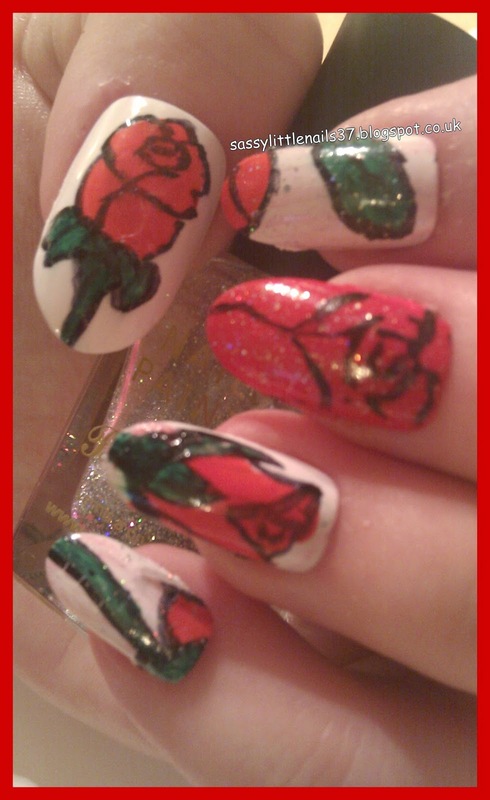 I started with the White out polish as a base on all the nails. 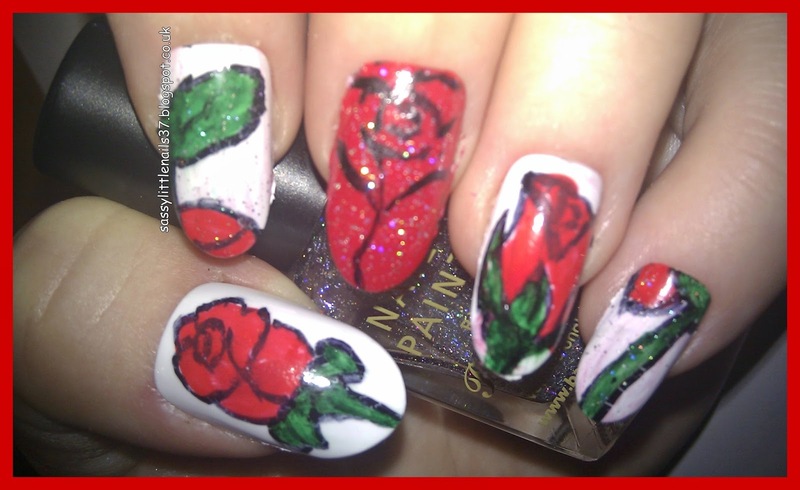 then I took the marker pen in black and hand drawn the roses/petals/stems I then filled in the green parts using the marker and then I went over the roses with the coral burst polish. when dry I went back over the black to make it stand out more I used the glitter polish on the middle finger and little finger.gave it all a top coat and all done.